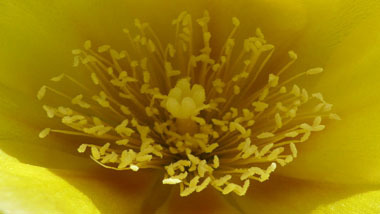 Prickly pear cactus represents fifteen species of the Opuntia genus in the North American deserts. The prickly pear cactus, originated in South America and eventually migrated northward into the valleys of the Andes and then into Mexico and the southern US. 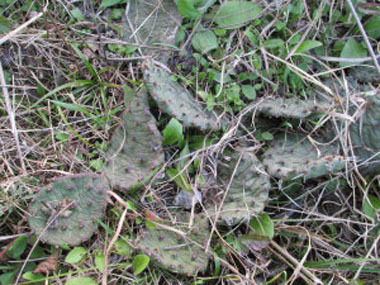 In addition to the Texas Prickly Pear there are: Opuntia strigil, Opuntia basilaris, Opuntia rufida, Opuntia phaeacantha, Opuntia engelmannii, Opuntia erinacea, Opuntia humifusa, Opuntia phaecantha, Pancake Prickly Pear, Opuntia chlorotica, Opuntia polycantha, Opuntia violacea, Opuntia violacea, Opuntia spinosbacca, and the Opuntia macrorhiza. Distinguishing Features: These perennial plants are typically many-branched with distinctive jointed, fleshy, flattened, often rounded stem-segments known as cladodes or phylloclades. These are better known as the pads. The pads are actually modified branches or stems that serve several functions. They are used for water storage, photosynthesis and flower production. 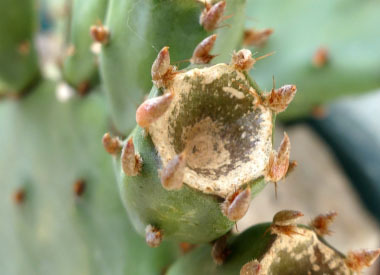 The fruits of most prickly pears are edible and sold in stores under the name tuna. 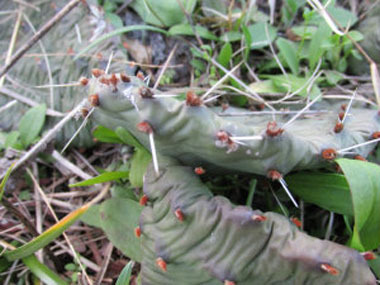 Prickly pear pads are also cooked and eaten as a vegetable. They are also sold in stores under the name nopalito. 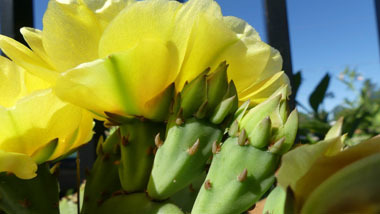 Fields of Nutrition has medicinal benefits and vitamin/mineral content of Prickly Pear. Height: The prickly pears can grow to a height of 1.5 metres (5') and can spread to a diameter of 4.5 metres (15'). Habitat: Occurs from southern Canada to Argentina. 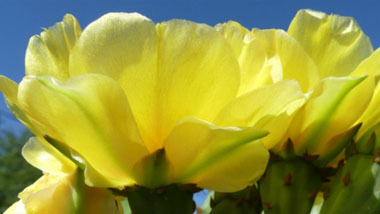 Species of this genus are the most northern ranging of cacti, occurring to 56° north latitude in British Columbia and Alberta, Canada, and are the only cacti ranging into the far eastern states of the USA. Many species have been introduced into the Middle East and some have become naturalized and invasive. In South Africa, Australia and India they are invasive. Edible parts: The fruits and pads are edible. 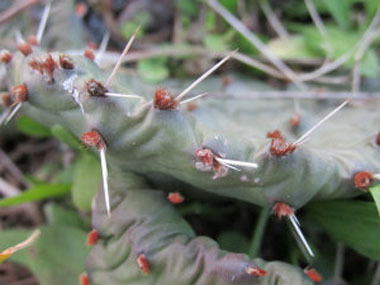 You must be VERY careful when working with a prickly pear. Please refer to Mother Earth News to learn how to properly eat a prickly pear. 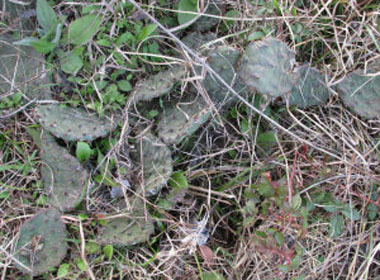 Other name: Texas Prickly Pear. A special thank you goes out to Victoria Nicks, owner, administrator and editor of Decoded Everything. Ms. Nicks contributed the photos to help make this page possible! Her most recent successful launch was Decoded Plants.